Udalguri District where from I Belong. I believe Udalguri District is a very peaceful place in Assam. the most beautiful thing in Udalguri District every people love to respect each other. Udalguri District headquarters Udalguri town. Udalguri name itself originated from flora origin. "Odal" a type of tree "Guri" roots surrounding. Udalguri District is bounded by Bhutan and West Kameng district of Arunachal Pradesh state in North, Sunitpur district in the east, Darrang district in the south and Baksa district in the west side. 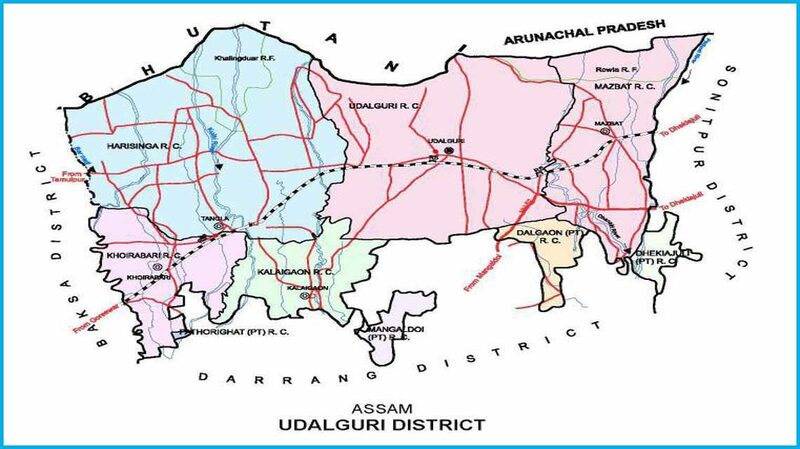 Area of the Udalguri District is 1852.16sq.km. There are Hindu, Christians and Muslim population living together in the district. Read also - Assam Where and What to See?. 1) Bhairabkunda a place of Unique Natural Beauty. Bhairabkunda is situated with the wonderful sites of nature in the tri-junction of Bhutan. Assam and Arunachal Pradesh are considered to be a God’s gift for the human being. It is located at the northern bed, some 22 km from the district headquarter of Udalguri town. 2) The Orang National Park is also known as Mini Kaziranga. The Orang National Park is situated on the north bank of the river Brahmaputra, covering an area of 78.81 sq. km. in the Udalguri district of Assam, the northeastern state of India. Also known as the Mini Kaziranga, the Orang National Park in Assam is famous for its natural scenic beauty that captivates the tourists from all over the world. The Assam Orang National Park was established as a sanctuary in 1985 and declared a National Park on 13th of April 1999. The area is prominently inhabited by Bodo, Gorkha People (Nepalese), Adivasis and Assamese Communities in the areas of BTAD. 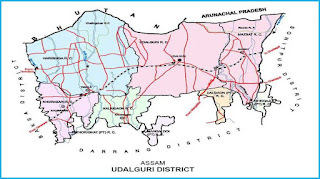 Also Read - Udalguri District all Village Name.